More than 100 entries for the $125 No Antes with a $7,500 Guarantee - the 3rd tournament in the 18-event Ante Up Worlds. 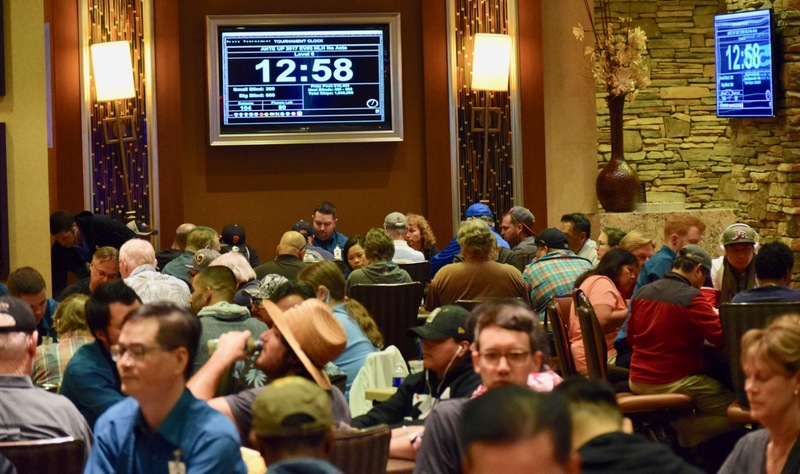 The field size created a $10,400 prize pool. We'll have the full PayTable available soon.